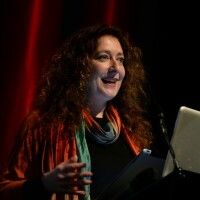 In the next of our Conference videos is Ingrid Kopp, Senior Consultant at Tribeca Film Institute. 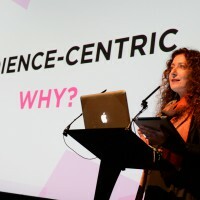 In the presentation Prototyping the Organisation Kopp reflects on what she’s learnt from building the interactive department of the Tribeca Film Institute. Tasked with building a structure to fund and support new forms of storytelling, Kopp wanted to introduce some of the startup spirit of entrepreneurship into this new initiative. This became an always-in-beta approach to experimentation and collaboration – with creators, audiences and colleagues. Kopp’s team created TFI Interactive and discovered the potential for inter-disciplinary collaboration between filmmakers, journalists, artists, gamers, coders, designers and activists. They ran the first storytelling hackathons and learned about prototyping, design thinking and user experience design. They funded interactive projects and learned, alongside TFI’s grantees, how to conceive, create and distribute new kinds of non-fiction work that connects with audiences. Watch below as Kopp shares how this process of continual discovery enabled them to respond to an ever-shifting digital world by innovating from within. 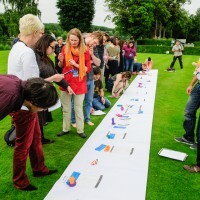 Prototyping the Organisation w/ Ingrid Kopp – The Conference from Power to the Pixel on Vimeo.